The green lifestyle is very popular right now. A lot of people make an effort to drive low-emissions vehicles, fill up stainless steel bottles of water instead of using plastic bottles and try to recycle on a daily basis. But green living extends farther than these popular notions. 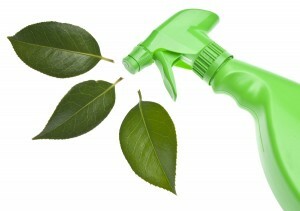 Green living means that you don’t bring any harsh chemicals into the home that may cause illness. Some chemicals in household cleaners have even been known to cause cancer. But you can take these chemicals out of your home, live a healthier life and make a positive impact on the environment. Take mold remediation for example. Mold is a common problem in households, especially in humid and wet environments. Mold is natural. The spores can be found in every corner of the world and cover almost everything that may see the light of day. These spores are like bacteria and cannot be avoided. The spores can become a problem when they settle in the right kind of conditions inside your home. When the spores land in a damp, dark and warm place they can begin to multiply. The mold feeds off the moisture and spreads quickly. Mold can cause people to feel ill, but the term toxic mold kind of goes over the line. A lot of people may want to scare you with the term toxic mold. There have been horror stories of people falling seriously ill because the wrong type of mold spore found a comfortable spot in their home. While there are plenty of people who are violently allergic to mold spores, the vast majority of people are not. The vast majority of people will only experience a mild allergic reaction with upper respiratory problems. This means coughing, wheezing, runny nose, red eyes, along with a few headaches. While mold is nasty stuff, it is natural and can be combatted with natural means. The last thing you want to do is kill household mold with chemicals that will only add to the irritation that you and your family feel from the mold. And some of the chemicals can get into the wood in your home and stay there for quite a while. All you have to do is take that spray bottle to any part of the home that smells like mold, looks like mold or feels like mold. You can even spray this stuff into your carpet if you spilled a drink and it smells like mold. The last natural option does not sound so appetizing — straight vinegar. Vinegar kills 85% of all bacteria and mold, but the smell might not be so pleasant in your home. But if your mold problem is extensive, you’ll have to call in professionals that know how to eliminate mold without leaving harmful chemicals behind.